Will a stem cell burger finally make its debut? Will kosher vending machines pop up in buildings across the city? Will kosher restaurants be able to survive in a difficult environment? We spoke to some of New York City’s top kosher chefs, restaurant owners and food bloggers about what’s on the proverbial — and literal — table for kosher foodies this year. How many people would wait for 45 minutes on line for a $36 pound brisket? Thousands, apparently, if the meat is cooked by Ari White. 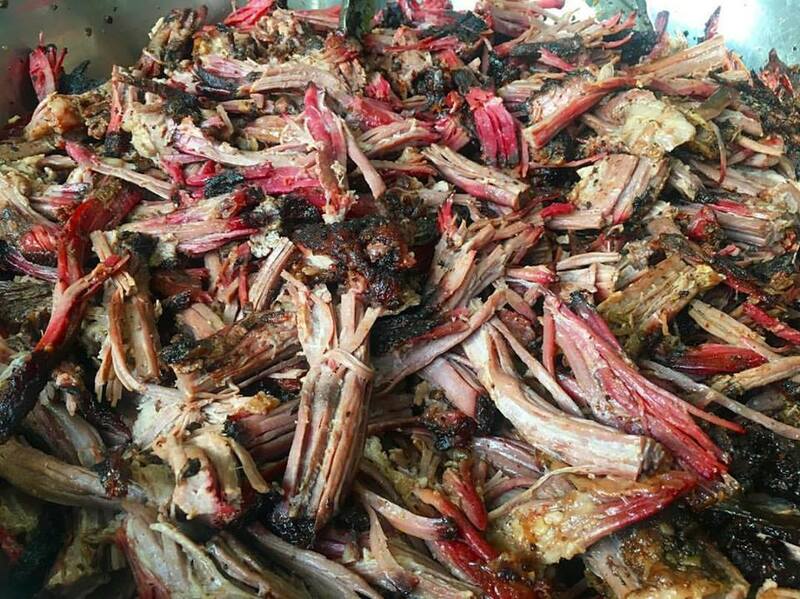 The mastermind behind the first kosher BBQ popup draws massive lines at street fairs and synagogues. The Texas native, who was named the city’s Brisket King in 2016, also sells his line of sausages and charcuterie in stores and online. This year will mark the first time his Pulled Barbecue Beef will be sold in shops across country. Sruli “Izzy” Eidelman followed in White’s footsteps and won NYC’s Brisket King title in 2017. His Crown Heights meat joint (Izzy’s BBQ Smokehouse, 397 Troy Avenue, Brooklyn) as the go-to place for kosher BBQ fans in New York. This year he plans to open a Mexican taqueria adjacent to his store. “There was a lot of trial and error and it’s been extremely validating,” Eidelman said of his success. Kasai Kosher Hibachi (2524 Coney Island Avenue) will open a new branch in Lawrence, New York in February. Here, Long Island eaters (340 Central Avenue) will be able to get a two-in-one dinner plus entertainment experience. 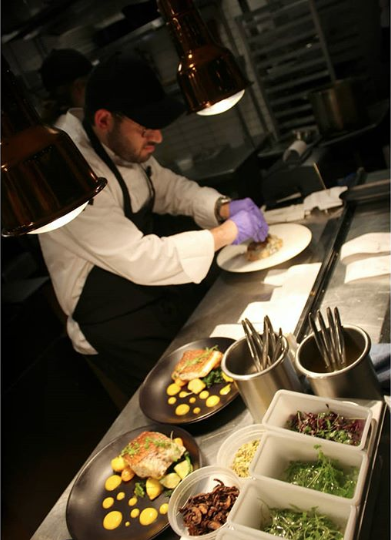 The chefs prepare the food on open grills before diners, making an exaggerated and fun show of the cooking process. Be prepared to get a little dirty. Boru Boru (774 Amsterdam Ave. New York 10025) made a splash when it opened last year with its Asian fusion and ramen offerings. 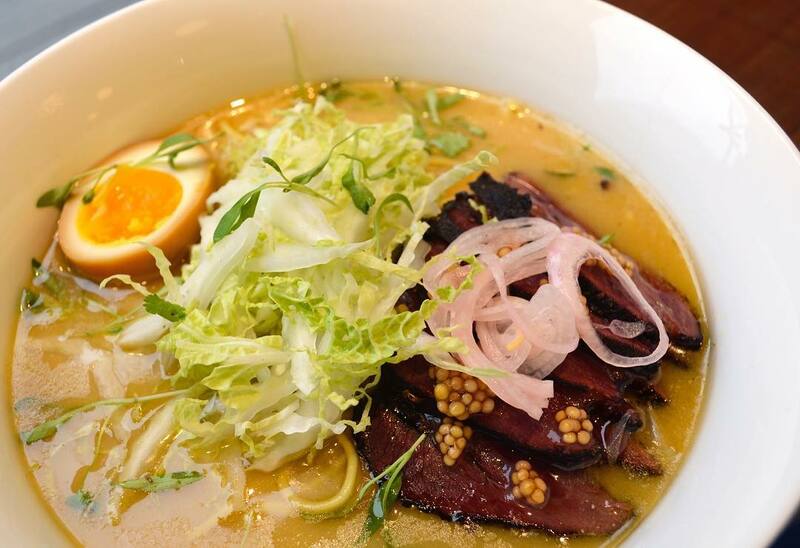 “The Pastrami Ramen was excellent,” said Gabriel Boxer, a food blogger known as the Kosher Guru. The top seller? Tokyo shoyu ramen, a chicken broth with braised carrot and burdock root, according to Boru’s owner, Dan Zelkowitz. New to the menu will be ribs with Chinese BBQ sauce as well as cornbread. Zelkowitz said he hopes the new trend this year will be for kosher restaurants to do a better job at making drinks. “I think the kosher cocktail hasn’t had its time in the sun, yet people are open to something new,” he said. Barnea Bistro (211 East 46th) also got a lot of sizzle as one of the best new fine dining restaurants. The menu boasts beef tartare and duck confit carbonara. The lamb riblets with pistachio, fennel and honey is a top seller. “We focus on clean flavors and present high-end food but it was also important to have a great ambiance,” Josh Kessler, the bistro’s chef and owner, said. He added that they have taken care to offer craft cocktails. One of the popular ones is “Fire and Brimstone” made from Balcones whiskey, ginger and lemon juice. When the ancient Jews were wandering through the desert and manna fell from the sky it supposedly tasted like whatever people could imagine. Had they known the taste of Moses Wendel’s Hazelnut Vendomes or goat cheese tomato basil black garlic quiche, we imagine that’s what they would have dreamt of. Wendel, formerly of renowned Brooklyn eatery, Pardes serves up babkas, croissants, pastries and breads in Patis Bakery (323 Ridge Road, Lyndhurst), his new artisanal bakery in New Jersey. A Brooklyn and Cedarhurst branch will open this year. “We’re… focusing on making things the right way,” Wendel said. And given the rave reviews online, it’s safe to say he is. What to try? The pecan-pie sticky buns are one of the top-sellers. Widely-considered the most high-end steak house in New York, Reserve Cut (40 Broad Street) near Wall St. surpassed its benchmark of $10 million in sales in 2018. There are plans in motion to add more locations, with a possibility of opening one in Israel. 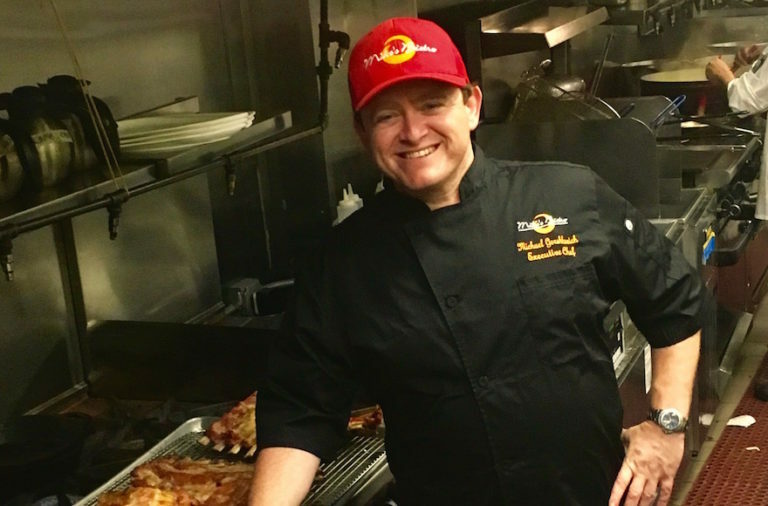 “The Allaham Tomahawk for two is really the Cadillac of our menu,” owner Albert Allaham said when asked what the most popular item was. Further uptown in Midtown East is Mike’s Bistro, where twice I’ve witnessed couples get engaged. Owner and chef Mike Gershkovich said his restaurant is the only place to get kosher foi gras. “We source the highest quality sustainable seafood. Customers see what they’re getting and have the trust to come back for it.” In 2018 he sold twice the amount of seafood than the previous year. This year he’ll also open New Amsterdam Burger and Bar (680 Columbus Avenue) in the Upper West Side, around the corner from where his wildly popular burger joint Amsterdam Burger Co. used to be. The larger space will allow for an outdoor seating area and bar which they couldn’t accommodate in the old space. In Teaneck, the owners of the highly acclaimed Nobo Wine & Grill (1400 Palisades Avenue) is opening a new restaurant that will focus on Asian and Latin American flavors. Nobo’s head chef and owner, Joshua Massin, turned heads when he made the gutsy choice to do a brisket-ramen bowl as part of the 2018 Brisket King NYC competition. The risk paid off and he took home third place. “It’s the food I like to eat,” Massin said. “I like soup. It’s my favorite course. To me a nice brothy soup with vegetables is one of the best******things you can put in your mouth.” No doubt it’ll feature heavily in the new joint, Narruto Bowl, when it opens this year. 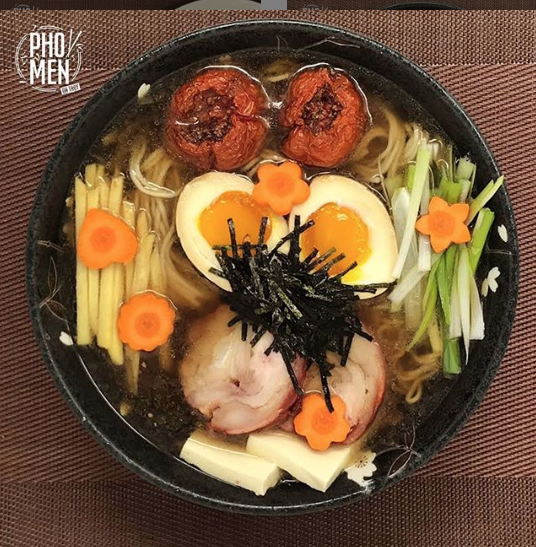 Pho-Men On Troy (411 Troy Ave) in Brooklyn also opened last year as the first Vietnamese kosher restaurant in the city. It got accolades for its range of ramen and pho bowls, bao buns as well as for hiring two employees with special needs. “I hope this is a trend that we will see more kosher restaurants doing,” Kornblum said. In 2013, Food writer Josh Schonweld was one of two people to do a televised taste-test of a stem cell burger a few years back. But will traditional kosher meat purveyors be pushed out of business? Kornblum said he doesn’t think they have a need to worry. “I think it will be a novelty, much like the ‘Impossible Burger,’” Kornblum said of the vegan burger patty sold in some kosher dairy restaurants. In another meat-related development, a New Jersey shochet and butcher is now offering unique meat cuts previously unavailable to kosher meat-eaters. Most kosher butchers don’t offer the hind portions of animals as the laws around making them kosher are quite complex. But Rabbi Avidam Elkin of Birsra Meats is one of few butchers who has special training to remove the prohibited fats from that area which renders it unkosher. “People are tired of the same old thing and are happy to get something new,” Elkin said. His company sells online and ships for free. the porterhouse was his top seller last year and other popular cuts include tenderloin, lamb and goat. Kenny Gluck, founder of Kosher Komedy, organizes kosher events at comedy clubs around New York City. He plans to increase events this year due to their popularity last year. He started with a New Year’s bash to ring in 2019. “People enjoy getting the best of both worlds,” he said. Jonathan Hartig, creator of J2Food, hosts pop-up shabbat dinners. His shabbat meals regularly cater to more than 60 guests. His next one is a Valentine’s Day themed shabbat dinner on Feb 8, 2019. “We have a lot of singles who have told me they’ve gone on dates with people they’ve met from my meals,” Hartig said.